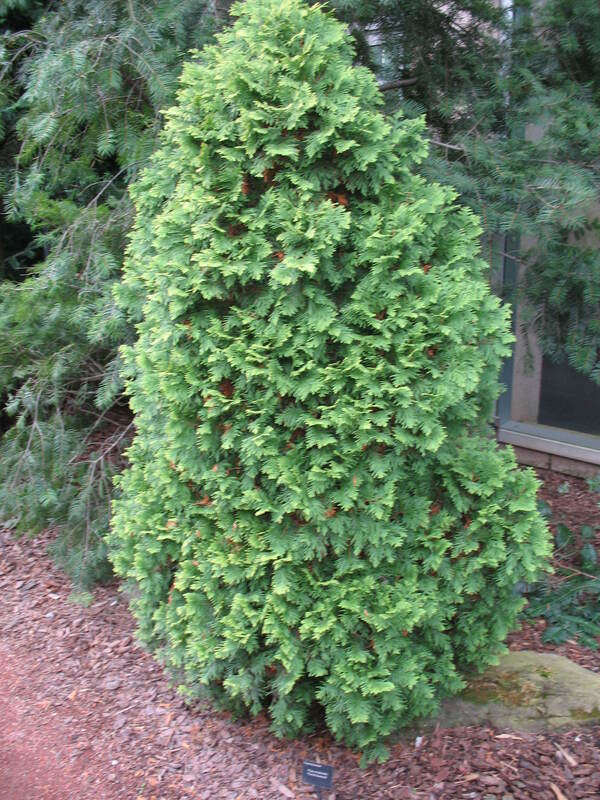 Comments: This is a striking arborvitae that features an upright, pyramidal growth with dense foliage. Provide full sunlight and a well drained soil. Bagworms can be a major insect pest on arborvitaes.